In the universe, there is always enough. There is actually MORE than enough for all of us. Why is it that so many of us struggle each day to get where we want to go? The reason is because people do not trust the universe. We are trying to take the lead, when really, we should strive to be in harmony with the universe, and allow it to naturally pull us towards where we want to go. When we step out in full faith, trust, and allow ourselves to be led rather than trying to take the lead, we will find the results we are looking for. 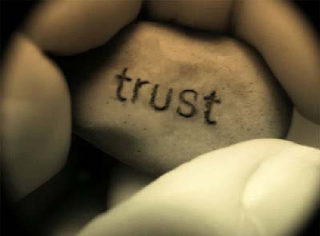 A big part of building trust with the universe is to first trust ourselves. Be comfortable with who you are. Embrace who you are, and where you are. We may not like where we are at times, but if we do not develop a pure acceptance of where we are in the present moment, then that is exactly where we will stay. We need to be happy with where we are, and look forward to where we are going. We all have gifts inside us that will lead us to extreme levels of success. Find out what yours are. They are there, and there are ways to find out what they are. Look for them. You need to get a clear understanding of who you are, and what you are here to do. Once you know this, the universe will lead you there effortlessly. We do not need to know how we are going to get there. We just need to know where we are going. As humans, we naturally want to know the “why” of everything, or what the reason is. Think about this. Have you ever been to where you want to go? Chances are no. Since you have not been there, do you know how to get there? Chances are you don’t. The universe does. In fact, the universe knows how to get you where you want to go in the fastest way possible. A lot of times we resist as we do not see how the opportunity the presented to us will get us to where we want to be. We think we know a better way, but in all truth, our way is a long winding road, and most of us get lost along the way. You can build your faith, and trust in the universe through practice and experience. If you are having a hard time really trusting, just start taking baby steps in faith. Remember, things don’t always go the way we think they should. If you trust that you will have what you need when you need it, it will be there. Some get confused between wants and needs, but I assure you, everything you need you already have. As you take your little steps in faith, and you receive, your next step may be a little bigger. Soon enough, you will be leaping out in faith, and you will receive your reward, your desire, and your wants. This is a journey, a process, and we can only start where we are. You must build trust one small step at a time. A lot of the time people are missing out on big manifestations by getting caught up in the apparent “let down”. I find sometimes really great manifestations often show up in the form of a disappointment or let down. A path you didn’t really choose, or an option you would not consider. If you just go with the flow of things, and not allow yourself to get caught up in the fact that things didn’t go the way you wanted it to go, and be open to what is offered, move forward in joy, you will receive a big manifestation shortly after. Sometimes things just don’t go our way. We have the choice of how to respond, and what thoughts we think surrounding the situation. I believe these are tests given to us, and if you stay focused, not allow yourself to get caught up in the apparent “stress” of a situation, and you pass that test.... instantly things manifest. Bigger doors open. Better opportunities come into our life. You must always be open to receive the bigger opportunity, the better door, even if it is disguised as misfortune. Being open means keeping your cool when things don’t go your way. Not allowing it to change your plans, your feelings, or where you are going. Keep your focus, and the next step on your path to your great success will come to fruition. Remember, the universe KNOWS MORE than you do about what the next step is that will take you to your goal. Trust and you will receive. Love yourself and be awake -today, tomorrow, always. First establish yourself in the way, then teach others, and so defeat sorrow. To straighten the crooked you must first do a harder thing - straighten yourself.